Workhorse Custom Chassis is the first manufacturer to offer the all new, power-enhanced Cat® C7 engine in a motor home chassis. Gulf Stream’s Crescendo and Yellowstone rear diesel motor homes are the first to use Workhorse’s Cat-powered diesel pusher chassis. 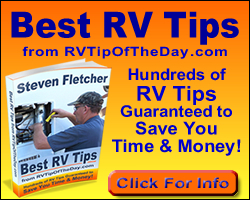 The new models were introduced at the California RV Show in Pomona this fall. The Yellowstone model immediately sold to a couple from Palm Desert, Calif. The chassis was also one of the highlights at the National RV Trade Show in Louisville, Ky., last week. The rear-engine diesel platform has a GVWR range of 28,000 to 32,000 lbs. and includes an Allison 3000 MH six-speed automatic transmission. It is available on all Crescendo and Yellowstone models from 36 to 40 feet. Workhorse is using the most powerful C7 developed to date, with 360 horsepower and 925 lb.-ft. of torque. The new engine’s common rail fuel system and variable nozzle turbocharger, enhanced electronics, and turbo brake all work to improve performance and lower operating costs. Powerful engine, performance platform The Workhorse R Series diesel chassis is Workhorse’s other rear engine chassis, not to be confused with the Workhorse UFO™ chassis that was launched last year. The R Series is known for outstanding ride and handling and rugged reliability. Last year many chassis manufacturers consolidated diesel engine offerings, which provided Workhorse an opportunity to use the Caterpillar powerplant. Recently Caterpillar Inc. received the prestigious J.D. Power and Associates Award for ranking highest in customer satisfaction for its Pickup and Delivery Heavy-Duty diesel engines as part of the 2007 Heavy-Duty Truck Engine/Transmission StudySM. This award is the tenth that Caterpillar has received from J.D. Power for heavy-duty truck engine satisfaction in the 11 years the study has been undertaken. “Cat and the R Series is a terrific combination that we’re proud to be a part of,” said Walmsley. Advanced emissions technology Cat’s C7 is 2007 emissions compliant thanks to its ACERT Technology that positions it to meet future EPA emissions regulations and provides a long-term emissions solution. ACERT Technology relies on four basic systems to lower emissions — air management, precision combustion, advanced electronics and effective after-treatment. These systems reduce particulate matter, oxides of nitrogen and hydrocarbon emissions while preserving the engine’s reliability and durability, which keep operating costs low. Excellent road performance The R Series diesel is a proven dream to drive. The front and rear suspensions are uniquely designed to work as a unit for optimal handling. Air bag placement, engine placement, V-rod stabilizer, dual leveling valves and a parallelogram suspension are among the systems Workhorse integrated to provide a greater feeling of comfort and control. Test drivers immediately notice the reduced body roll and tail wag, along with minimal noise and vibration. With the R Series, the coach maintains superb balance and stability. Easy living Furthermore, Workhorse SmartChassis engineering also designed the R Series to be easy to own, with less maintenance and complexity, giving RVers more time to enjoy the lifestyle they’ve chosen. For example, the Workhorse Integrated Smart Electrical (WISE™) system can provides a chassis “brain” to monitor all of the electronic systems on one panel and indicate whether everything from light bulbs to brake systems are working properly, depending on manufacturer integration. The R Series also eliminates such things as complex ping tanks and related hardware to reduce the potential for air leaks and other complications. It has automatic heated moisture ejectors on both air tanks to prevent freeze-ups and eliminate the need to crawl under the coach to manually open a valve. It has a fixed pneumatic compressor discharge line with no low points so moisture can’t collect and freeze. Overall, the R Series is designed to do more with less to make life on the road more enjoyable and trouble-free. Many of its innovations have been duplicated elsewhere, making the R Series a significant contributor to the overall development of motor home technology in recent years. Now that the Cat C7 is offered, the Workhorse R Series diesel is ready to turn another page in the advancement of motor home enjoyment. International Truck and Engine Corporation is the operating company of Navistar International Corporation (Other OTC: NAVZ). In addition to Workhorse brand chassis, the company produces International® brand commercial trucks, MaxxForce™ diesel engines and IC Corporation school buses and commercial buses, and is a private label designer and manufacturer of diesel engines for the pickup truck, van and SUV markets. A wholly owned subsidiary offers financing services. Additional information is available at: www.navistar.com.